Our boat lettering has awesome long-term outdoor durability. We warranty our lettering to look great for many years. Our self-adhesive vinyl lettering works great on boats for your boat name, port of call and registration numbers. It comes pre-spaced and is easy to install. 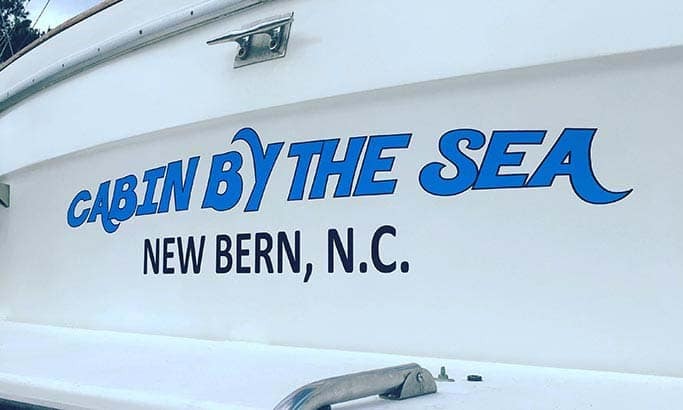 Three ways to order boat vinyl lettering. Will the lettering come in sets of two? Not automatically. You'll need to set the quantity to 2 on the purchase tab of the lettering create tool. Most states require at least 3" tall letters. You'll need to enter the height you'd like to order in the Text & Size section. Vinyl Lettering Use: Boat name and hailing port.